Brandi Hight, Roots N’ Boots Queen Creek Pro Rodeo Jr. Teen Queen. 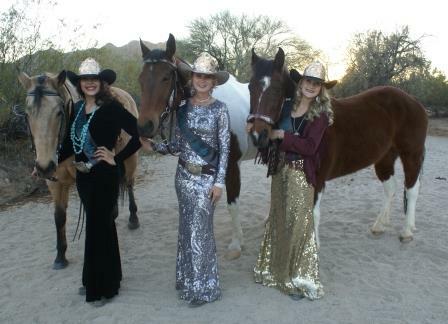 Read about the 2015 Roots N’ Boots Queen Creek Pro Rodeo Royalty here. Have questions about the Roots N’ Boots Queen Creek Pro Rodeo Royalty? Check out the FAQ page or contact the coordinator here. 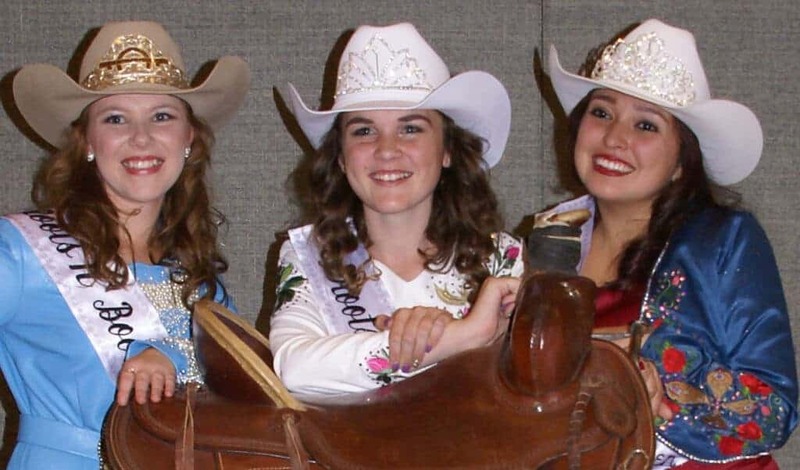 Wondering what the Queens do during Rodeo Week? 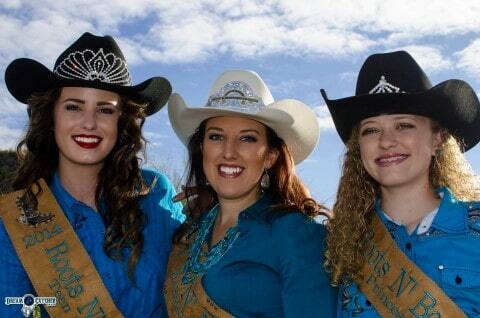 See the 2014 Queens Schedule Rodeo Week as an example. Roughly 17 years ago Brittany Kjer was born in Mesa, Arizona and little did her parents know that her life would soon revolve around horses. At the young age of two she had her first encounter with horses at her grandfather’s company picnic. Those may have been ponies walking in a circle, but it is safe to say she was hooked from that point on. Her passion for horses and rodeo has only grown since then along with a dream that includes competing in professional rodeo and becoming a rodeo queen. Though horses and rodeo are a strong passion of hers, Brittany has also taken an interest in welding and to the surprise of many; she attended the East Valley Institute of Technology and is learning the trade of welding. Completing my high school courses through Primavera High School in November 2013, Brittany hopes to combine her education and love of horses by one day attending veterinary school to become an equine veterinarian. For the present, she is shooting for the stars, following her dream as Rodeo Royalty. Halle Fry is a 22 year old from Snowflake, AZ. She is currently living in Mesa, as she is an Electronics Engineering Technology student at Arizona State University where she is tackling her senior year. She has always loved school especially when it came to math or science, and is enjoying putting her skills to work. She hopes to one day be working with engineers in renewable energy, where moving back to a rural area would be ideal! Although school can be time consuming, there’s no doubting her passion for horses. If not in class, you can usually find her at the barn. Whether studying or riding, anyone will tell you her horses keep her sane. She has been involved with horses her entire life and competed in many different disciplines. Halle started out showing English and Western when she was just 5 years old. She was on a drill team at age 6 and that is where she found her love for rodeo! Halle has a passion for interacting with the public and sharing her love for rodeo! Halle has attended Roots N’ Boots 2 of the 3 yrs as visiting Royalty and she is excited to be able to represent this great community and one of its signature events. 12 year old Karlie loves rodeo and the Town of Queen Creek, having lived there since she was 3, back when there weren’t any stop lights or shopping centers, just stop signs and a Circle K. She has been riding with Queen Creek 4H for the past 4 years, and has participated in all kinds of educational events like speech competitions, community service opportunities such as keeping the Historic Queen Creek Stage Stop clean, and of course, horseback riding competitions. Karlie has competed in Western Pleasure, but really loves are barrel racing, pole weaving and sorting. Karlie was so excited when the HPEC hosted the first Roots N’ Boots rodeo that she volunteered to pick up trash and scoop poop in the parking lot for 6 hours, just to be a part of it. Since then, she have volunteered many hours at every event, cleaning up, taking tickets, and doing surveys with the attendees, even in the freezing cold rain storm during Roots N’ Boots 2013. Karlie is very excited about being part of and promoting something she loves in her hometown, with her friends and tons of family are here to support her. Howdy, rodeo fans! 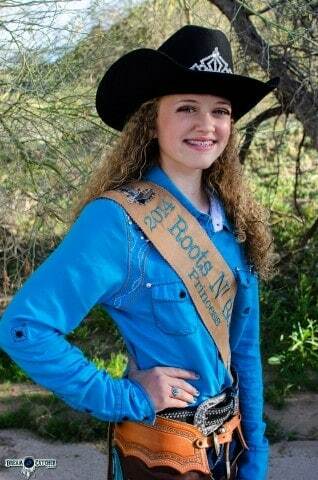 My name is Makena McCleve and I am the 2013 Roots N’ Boots Princess. I would like to welcome you all out to the best rodeo ever, Queen Creek’s Roots N’ Boots PRCA Rodeo. The weekend of March 8-10 will be packed full of events at the Queen Creek Horseshoe Park and Equestrian Center. There will be 3 nights of rodeo, carnival rides, family activities, and shopping. You won’t want to miss out on the fun! I know that my family won’t be missing out. My parents Mike and Anissa McCleve will be there, along with my brother and 2 sisters enjoying the family rodeo and teen rodeo too! Although I’m only 11 years old, I can tell you that this is one of the best rodeo’s I’ve ever been too! If you don’t believe me, catch us on Friday (March 8th) on the morning news with Corey from Fox 10. Hopefully he will come and ride with us and tell you all about our great rodeo and the events of the weekend! And don’t forget to come get an autograph from all of the beautiful Rodeo Queens after the rodeo each night at the Queen Creek Martketplace booth. With so much to do at this year’s Roots N’ Boots event, make sure you plan on attending this year’s Roots N’ Boots Pro Rodeo to us; I can’t wait to see you there! Welcome to the beautiful Town of Queen Creek! 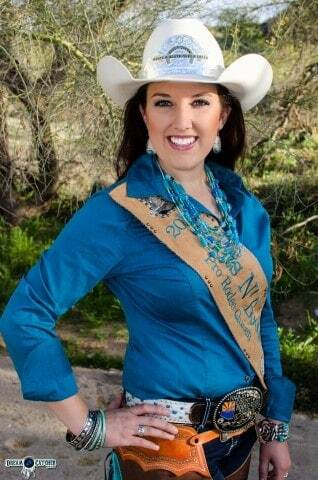 My name is Shannon Sweeney and I am honored to be the 2013 Roots N’ Boots Pro Rodeo Queen. 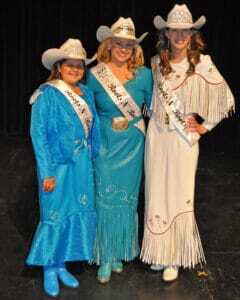 My court and I are so excited represent this rodeo and this extreme sport. I love that I get to represent this amazing event and the Town of Queen Creek all at once with the Roots N’ Boots PRCA Rodeo. For 2013, Roots N Boots is on its 3rd year as an event and it shows; we have added even more events to this year’s lineup than before! If you haven’t visited Horseshoe Park and Equestrian Centre, it’s located at Ellsworth Road and Riggs Road in Queen Creek. Our PRCA Rodeo starts at 7pm Friday March 8th, 7pm Saturday March 9th and at 2pm Sunday March 10th. If you haven’t heard the Town of Queen Creek puts on one of the best PRCA rodeos in the state, so plan to purchase your tickets before too late…but don’t wait too long as they are sure to sell out just like we did the last two years. I am so excited that Dan Fowlie is back to announce this year’s rodeo he is one of the best when it comes to announcing this extreme sport!!! Along with Dan, rodeo clown Slim Garner will be entertaining fans keeping them laughing while rodeo action will have them at the edge of their seats wanting more! After the PRCA rodeo performance makes sure you stop by the Queen Creek Marketplace booth to see me and rest of my court! Make sure you tell us your favorite part of our rodeo! This year, on Friday make sure you get out early to witness our newest event the extreme teen rodeo! This is new for 2013, a free event that doesn’t require any rodeo training to participate. There are some amazing prizes so teens, make sure and check it out and have some fun! Registration starts at 2:30pm and the extreme teen rodeo is from 4-6pm. Open to ages 12-19. I will be walking around watching all the action! If you’re coming from out of town Hyatt place in Gilbert is the place to stay and serves as host hotel for Roots N’ Boots! Just 15 min from the rodeo grounds you will be back in no time for more rodeo action on Saturday. Join us for both our PRCA and family rodeo. 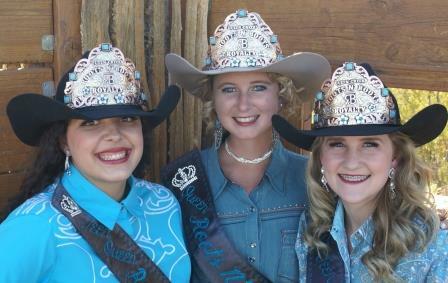 We have Rodeo Queens visiting from all across Arizona and Hyatt place is where they’ll lay their heads after the rodeo performances. If you have time in between rodeoin’ and catching up on zzz’s be sure to check out Queen Creek Market Place for all your shopping needs. 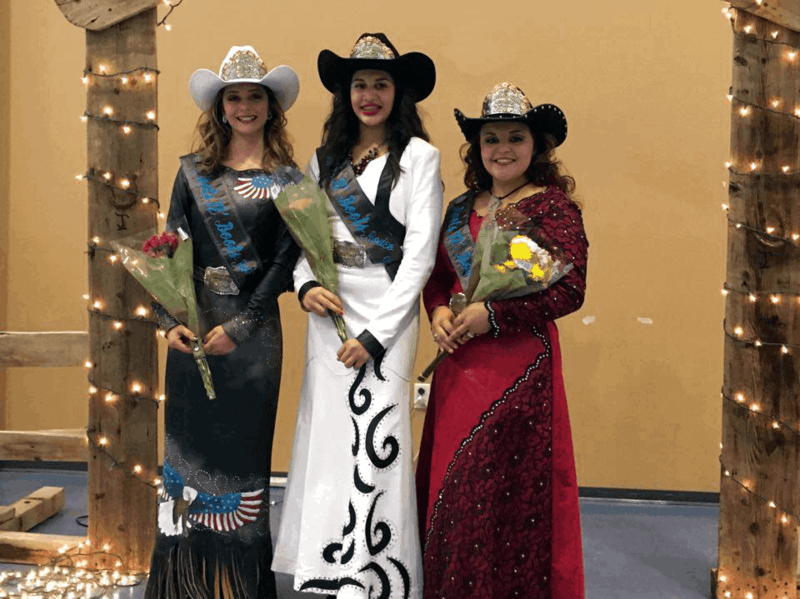 Saba’s Western Wear in Queen Creek Market Place has all the boots and jeans a girl could ask for and graciously hosted our Rodeo Queen Court in February! Stop in and say Hi! for me. Thank you to all who attended last year’s rodeo you has helped this event grow and continue to be a success. And a special Thank You! to Mayor Barney, Vice Mayor Benning and the whole town council for all of their continued support for the rodeo and Horseshoe Park. I am a member of Southwest Arizona Sisters, Inc and we ride at Horseshoe Park regularly, so I get to enjoy this great event centre on a regular basis. And the biggest Thank You of all to our Sponsor Queen Creek Marketplace for coming back for another year with the Rodeo Queen Court, you make all of this possible for a girl like me! Can’t want to see you at the rodeo! Hello Rodeo Fans and Queen Creek! 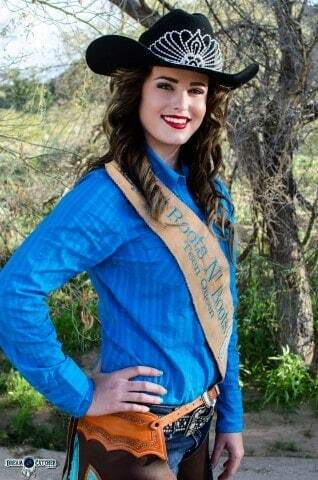 My name is Lauren Meehan and I have the great honor of being the 2013 Roots N’ Boots Teen Queen. I would love to welcome everyone to the Roots N’ Boots Event at Horseshoe Park Equestrian Centre in Queen Creek. I am seventeen years old and I live in Gilbert, Arizona and am a junior at Gilbert Christian High School. I am a part of the school’s student council as the Junior Class Representative and am on the varsity swim team and varsity softball team. I love to play these sports, but most of all I really enjoy being a captain of the Southwest Arizona Sisters Inc. drill team! We travel all around the state displaying an “Attitude of Gratitude”. Between everything else, I work at Saba ’s Western Wear at Queen Creek Marketplace. With all of this in my life, I couldn’t do any one of these things without my wonderful family. I owe them everything because they have truly showed me how to work hard and be truly dedicated and invested in all I do. I am so excited for the Root’s N’ Boots PRCA Rodeo this year and am so happy to be able to travel around Arizona to tell everyone about it! I would really like to thank Queen Creek Marketplace for sponsoring the Roots N’ Boots Rodeo Queen Court for a third year. It is awesome that they have continued to sponsor the rodeo queens! I hope to meet everyone at their booth after the Rodeo. I look forward to enjoying all the hard work that the committee and sponsors have put in this event and we will see you at the rodeo!